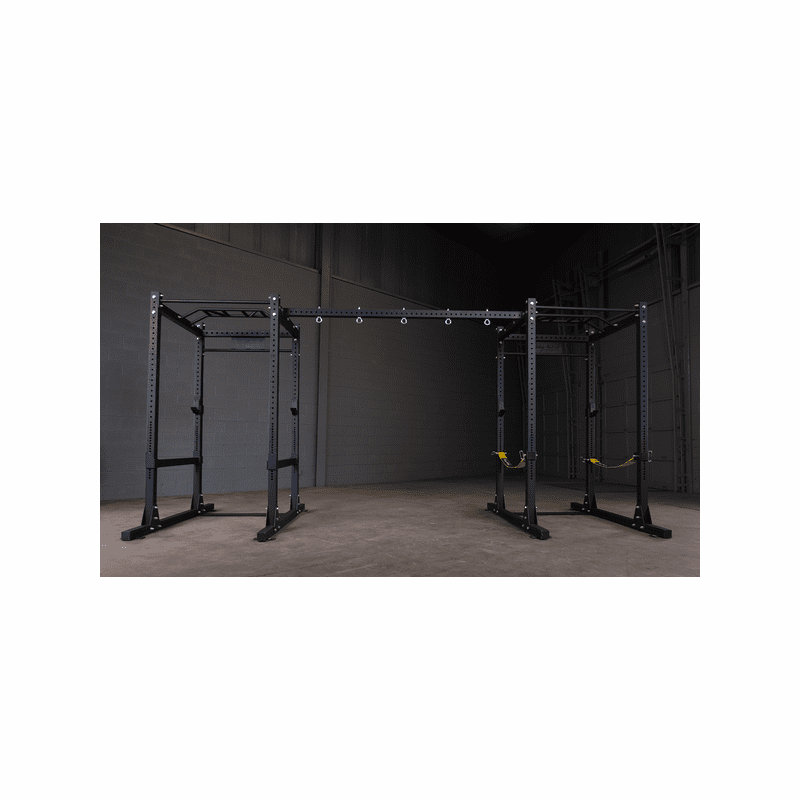 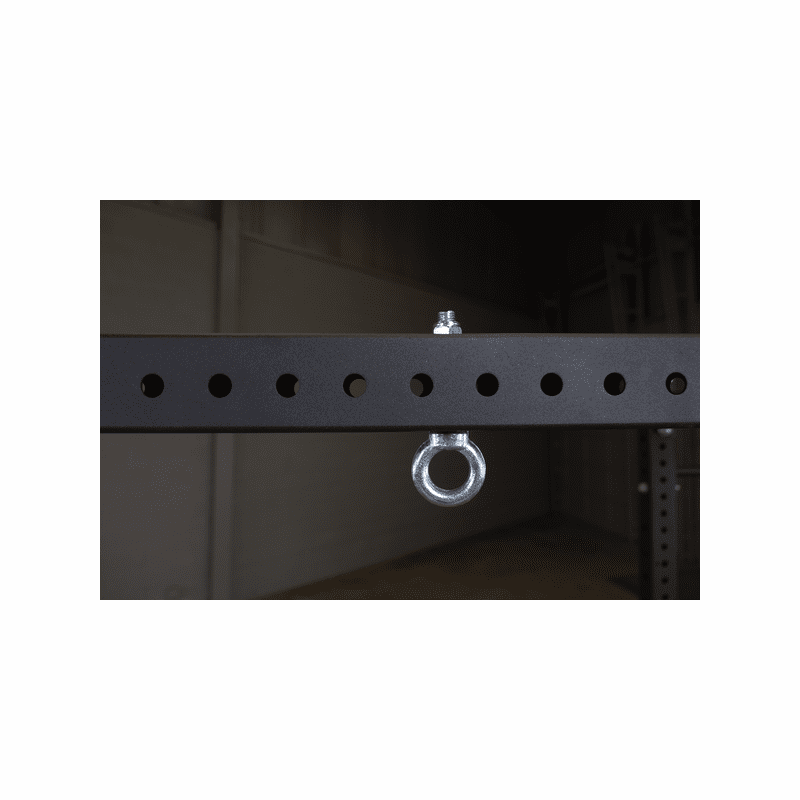 The Power Rack Connecting Bar is ideal for group fitness and cross training facilities allowing multiple users to workout at the same time. 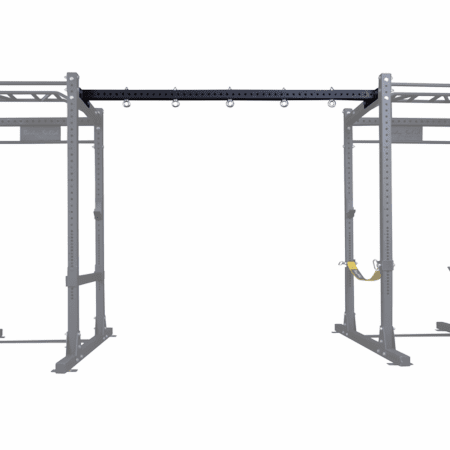 Combine two or more Power and Half Racks for endless workout stations. 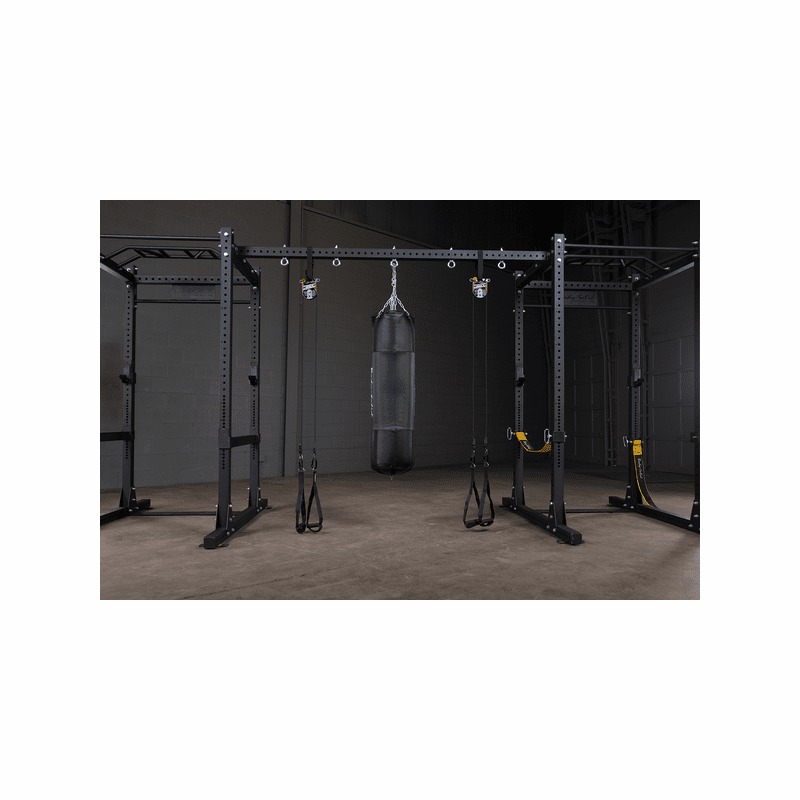 The SPRACB features five heavy-duty eyelets for attaching heavy bags, suspension training ropes, grip trainers and more. 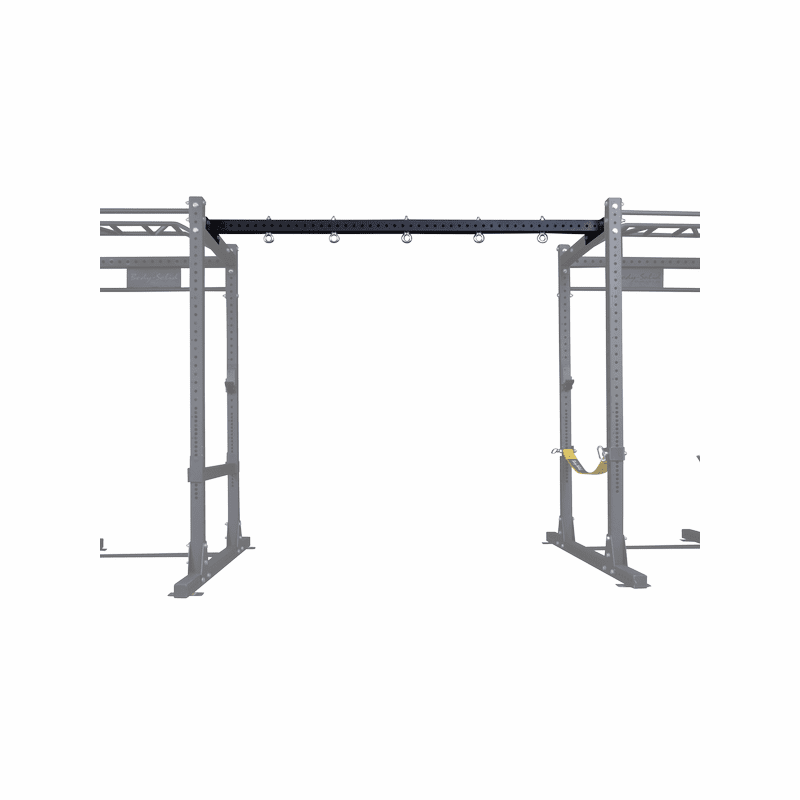 Designed with a 3� x 3� 11-gauge steel mainframe and 2� hole spacing.